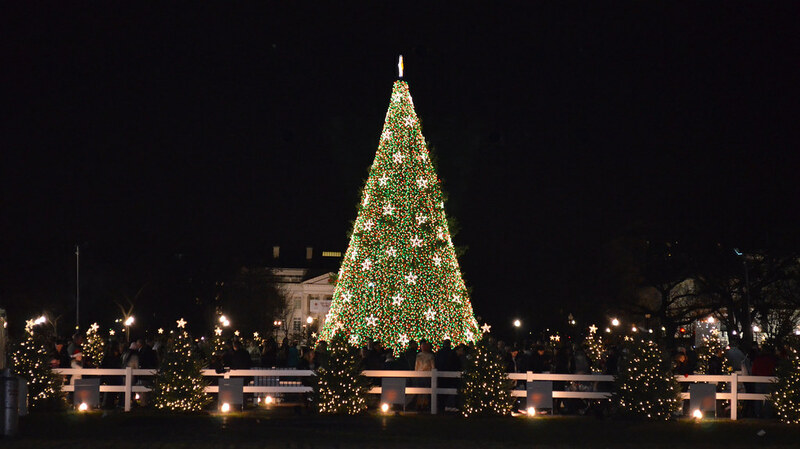 The tradition of the National Christmas Tree goes back to 1923 when then-President Calvin Coolidge had a Balsam Fir brought in from a nearby forest, and erected and illuminated on what is known as the White House Ellipse, a 21-hectare public park adjacent to the Presidential residence. Some 2,500 electrical bulbs were used on that first National Christmas Tree, with cut-down fir trees subsequently being brought in every Christmas over the ensuing years. And when it was decided to give the White House its very own permanent Christmas tree in 1973, that first one unexpectedly died just five years later and was replaced with the current Colorado Blue Spruce planted in 1978.